Maju, also known as Syarikat Pengangkutan Awam Maju Bhd, is one of the largest bus operator in Johor Bahru. Maju was established on 13 July 1972, as part of the Johor Corporation. Maju buses are mostly operated in Johor Bahru, with bus operations expanded to other towns such as Batu Pahat, Kota Tinggi and Mersing. 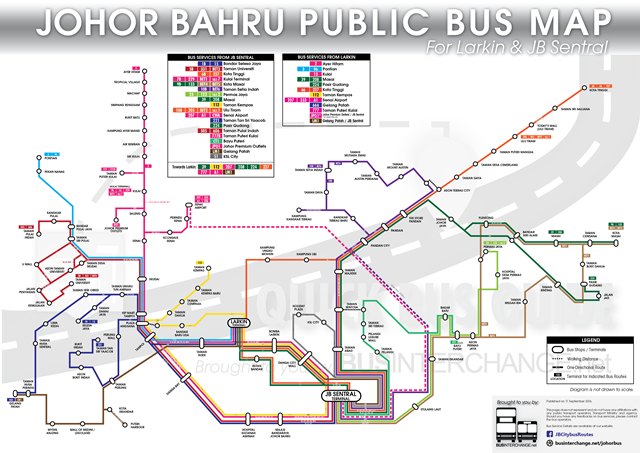 Maju also operates certain bus services with the branding of Bas Muafakat Johor, Trans Iskandar and Bas Trans Johor. Besides local bus services, Maju also operates inter-city express bus services.